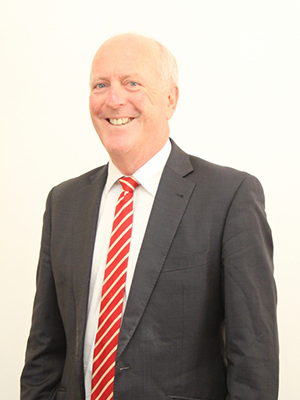 Brian is the Managing Director of WA Property Lawyers. Whilst specialising in property matters relating to the rural and agribusiness sector Brian has valuable experience in the commercial and residential property market in Western Australia. Preparation of documentation for the implementation of succession plans including Wills and Family Trust documentation. Brian accumulated a wealth of experience in business prior to entering the legal profession by qualifying as a Bachelor of Agricultural Science before running an agriculture consulting business and later a successful conveyancing business in Esperance for nearly 20 years. He has acted for both buyers and sellers for most of the major rural transactions in Western Australia. Brian was a member of the first group to graduate at Notre Dame University’s Law School with a Bachelor of Laws and was admitted to the Bar in December 2001. He commenced his legal career with the rural specialist legal firm Michael, Whyte & Co in 2000. Brian brought to the legal profession many years experience in farm consultancy and an in-depth understanding of the requirements of clients in the rural sector. Additionally, owning and running his own Settlement Agency in Esperance for 20 years provided a full understanding of the Conveyancing business. Together these attributes and experience have allowed Brian to provide his clients with a holistic approach to matters relating in these areas. Brian became a partner at Michael Whyte & Co in 2003 and a partner in Allion Legal (merger of Michael Whyte & Co and Pullinger Readhead Lucas) in 2009. At Allion Legal Brian headed up the Rural and Agribusiness practice group. WA Property Lawyers provide informed, accurate and reliable service and advice to clients in both rural and urban areas of Western Australia.